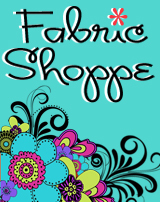 Cyber Monday at the Fabric Shoppe! We have over 150 fabrics in our sale and clearance section! Get your discount fabrics today!! 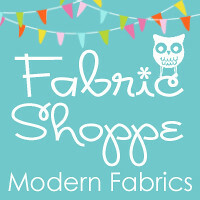 Find the Fabric Shoppe Sale Section here! Also on sale for today only is our DIY snuggly blanket kit with minky fabrics of your choice! Regular price is $14.50 and you can get it for $9.50 today only! We also have the weekly sale fat quarter which is Mittens in Green for $1.25. That's over 50% off the regular price! While supplies last! And a super Cyber Monday deal for all our wonderful customers!!! 2 free surprise fat quarters with any sale over $25. That's a half yard of FREE FABRIC! We will choose the fabrics but they will be wonderful! Just put CYBER MONDAY in the note to seller in your etsy purchase and we will automatically include them! ThePinkPetunia has many adorable Headbands and Hairclips! Lark by Amy Butler has broght more color into the Shoppe! The 24 piece set is one to die for! The dramactic prints mixed with various colors is perfect for all types of projects! I am looking forward to my next project of streching some of this line over some canvases for around the house! In the FabricShoppe we have bundles or you can always customize what pieces and the yardage you need for your next craft! Get Ready For the New School Year with these adorable Mushroom and Owl Lunch Sacks. Many Great Pictures with Easy Instructions by A Lemon Squeezy Home! Check out some of SunLoveShirts cute kid dresses! This week I got to visit an old friend! She has the most welcoming home! I love this tree on her deck that has twinkle lights on it all year round. Such a happy thing to look out at! I will definitely be doing this when we build our deck! I also liked this potted topiary rosemary *i think* in her kitchen! Wondering where one can get one of those! I made a princess dress with a little help from grandma out of tulle and some sequin elastic sewn to a shirt! My 3 year old was in heaven! Both my little princess were happy to meet some new friends in our neighborhood that night! My friend Christy and I took a day trip to visit another good friend who just had a baby. I got to welcome little baby Paige into the world and got some good baby snuggles! A little tummy time on the minky blanket I made for her! Love those super soft fabric! Here momma's been getting crafty with fabrics from the shoppe! Covered these canvases and then the lampshade! We stopped at Anthropologie on the way home and i got this ceramic berry bowl (that looks like the cardboard things that berries come in) and little butter dish that holds 1/2 a stick! So mini! We got a new juicer a few months ago and my hubby made this juice last night. It was delish! We had run out of greens so it was apple, carrot, beet, lemon. Tasted like dessert! YUM! Do you have any fave juice recipes? One of my fabric reps stopped by this week as I had skipped fall quilt market so she showed me the market releases! She brings bags and bags and books and books of samples and I order away! Making sure to pick the cutest lines for my amazing customers! So that was my week! How was yours! Be sure to leave a comment so I can hop on over to your site and visit! The enitre line of Delighted fabric by Amanda Herring of the Quilted Fish has arrived in the Fabric Shoppe and it is brightening up our shelves! Above bundles are available from the Fabric Shoppe! We also have the Delighted panel for only $7.50 so you can easily make a cute bunting flag banner! I would just cut out with pinking sheers and sew onto a ribbon or bias tape for a super easy project! You could also use to embellish a quilt top! So many options! Here is a DIY video by Amanda for inspiration on how to use this panel! Here are a few lovely pics from the Delighted Launch party put on by Amanda and team. Everything is covered in her the new fabrics! So pretty! Are you drooling yet? What would you make with this colorful fabric? This line is available in fat quarter, 1/2 yard, and full yard bundles as well as individual yardage! 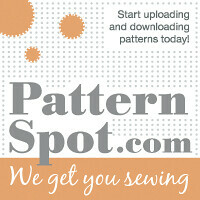 Convo us on etsy and we can help you choose fabrics for your custom order!